Fortnite still stands as one of the most popular shooters to play on the market today alongside Call of Duty, PUBG and Overwatch. Public tournaments where loyal audiences watch in admiration as the pros smash each other on the screen through sneaky tactics and glorious kills. Accessorizing our gear is the best way of expressing our appreciation of the game and the pro players who excel in it. As such, we put together a post looking at many of the best Fortnite accessories that are out there to buy today. As a whole, Fortnite populates across different gaming platforms, including Playstation 4, Xbox One, Nintendo Switch console and PC. 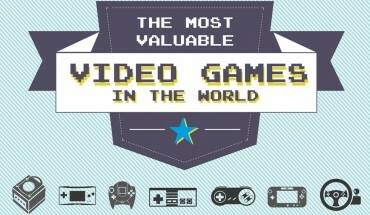 The end result of its mass coverage and the platforms’ cross-compatibility with each other drew in a wide fanbase across all consoles, turning the video game into a popular brand. In this posting we’ll be talking about a lot of what we believe to be the top gaming accessories that Fortnite fans should not be without! We have a guide on a merchandise that you can add to your personal collection that would make you the subject of envy. We got some skins for you to look at. No, these are not the in-game outfits. Rather, these skins are designed to give your console and controllers a unique appearance. Aside from giving them that cool look to mesh with your man cave, the controller skins in particular can be pretty comfortable to use while giving them a unique personality at the same time. 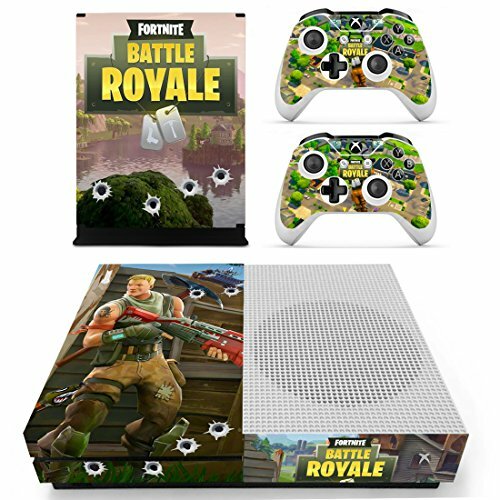 Fortnite Battle Royale skin pack – Comes as a pair of controller skins followed by a console skin for the Xbox One. The artwork of the skins feature characters from the game lining up as a group and wading their way into battle. Featuring a muscle-clad soldier sporting a rocket launcher, this XBox One accessory skin pack also comes as a set of two game controller skins and one console skin. Made of the same vinyl material of the Fortnite Squad skin, the game controller skins in particular feel nice to use when placed in the palm of your hands. This skin pack is specifically for the XBox One Slim. 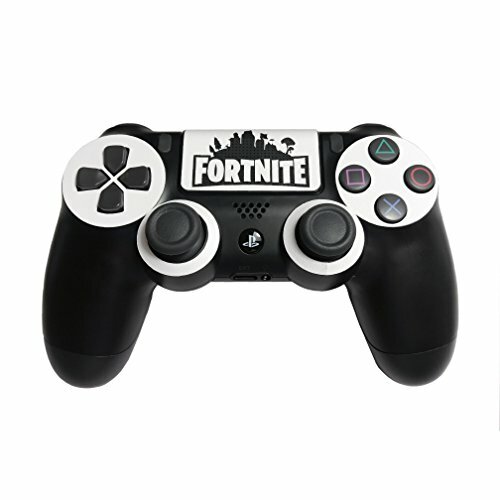 This skin pack comes with one customized skin for the Sony PlayStation 4 game controller featuring the title art of the game, it is placed in the center where it is clearly visible to the player in a matte black and white color. It’s not too flashy in the sense that it uses the B&W color scheme that actually meshes well with the shape of the Sony PS4 controller. Doesn’t leave any residue if you opt to take the skin off. A pair of Xbox One controller skins which illustrates a character from the video game hiding behind a barricade while under fire. The art lines up nicely along the curvatures of the controllers, and they are easy to put on and remove due to the adhesive material at the back of the skins. 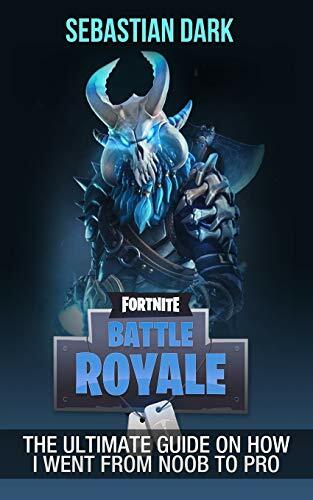 Fortnite, being the big franchise that it is, has a slew of books authored by both individuals and independent publishers spanning multiple categories. They include: art books, fan fiction and guides penned by players themselves, all of which are non-official publications. Depending on the age group, these books will serve their purpose either to occupy, educate or entertain. Authored by Osle Publishing, this book is available either in both paperback and Kindle formats for your convenience. It’s not really much of a step-by-step instruction on how to draw skins from the game. Rather, it’s a coloring book with at least 20 pages worth of character templates that can be colored in. 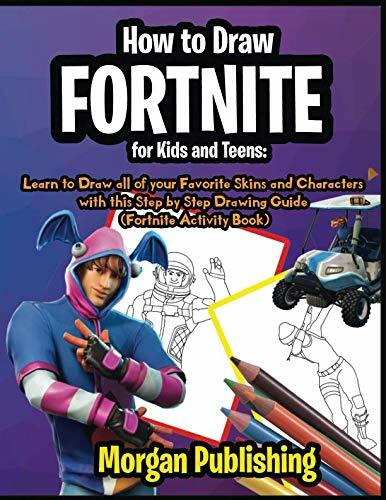 It’s good for keeping your kids occupied if they like coloring books and the Fortnite video game. 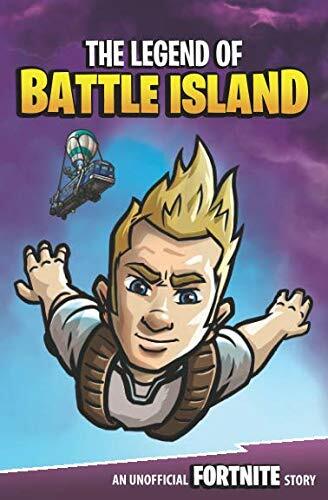 Released in October of 2018 and penned by Matt Korver, this tale is aimed for Fortnite fans of ages 8-12. The story follows a young adventurer named Pete Kartson who was living a quiet life on a peaceful island. It didn’t take long for the peace to go down south with a party from next door waking him, followed by the destruction of his home after a shotgun-toting panda decided to invade it. From that point onwards, chaos ensues. Part of a series of books, this book consists of short chapters and spans 127 pages total. This is excellent if you want to keep your children’s time occupied with reading instead of staring at a screen all day. What better way to stir one’s imagination than reading a book? Available only in paperback, this book is another iteration of the ‘How to Draw Fortnite’ series, featuring over 70 pages of step-by-step instructions to draw skins, items and other essentials from the Fortnite universe. This book is a good starter book for young children who just starting to learn how to draw. 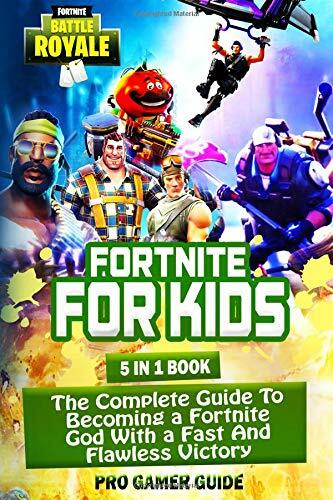 Written by Chala Dar, this book is an unofficial publication not endorsed in any shape or form by Epic Games. You can think of it more or less as a hard copy wikia for Fortnite players. The guide contains a lot of useful material that you would come to expect from any source, official or otherwise. It includes colored screenshots that players would find useful for studying the finer nuances of the game. Includes but are not limited to: tips and tricks, weapons, cheats, movement and combat, build and placement of structures, as well as other fundamentals with which to help you succeed in the game. 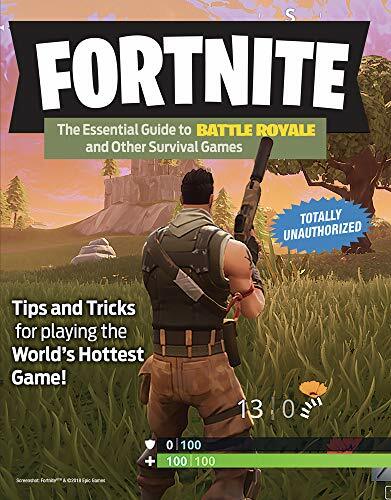 Developed by Triumph Books, this book provides some good guidance for players that are playing Battle Royale along with other modes in Fortnite. As Battle Royale was a recent addition to the Fortnite franchise, the guide gives essential tips to get some extra points and one-up your opponents for this particular mode of play. 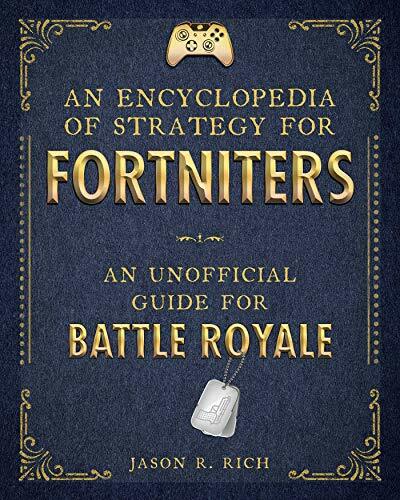 The book is good as it discusses strategies and tactics that you can leverage against other players during the hectic skirmishes that occurs during Battle Royale. 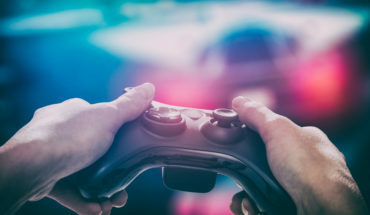 Having penned a couple of Python Books and putting in some long hours into Fortnite, Sebastian Dark gives some personal wisdom and insight the time he spent learning the fundamentals of the game just like everyone else: at the very beginning. This guide that he wrote illustrates the journey that he went through starting out as a new player before becoming a major league player in the popular game. This is more or less a study of his play style as well as his inputs on how players should play the game in order to improve themselves. A reference worth looking into. 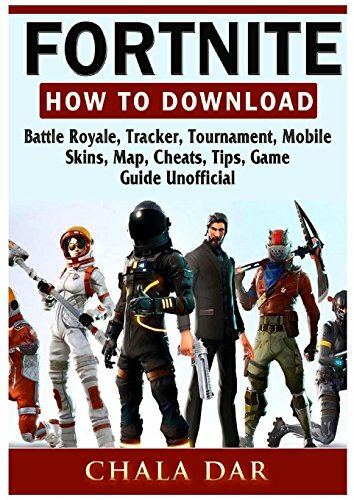 A guide aimed specifically at the youngsters who aspire to become top-tier Fortnite players. The cover the book appears somewhat deceiving, forcing one to wonder whether the material itself contains any useful information to actually become proficient in the game. Do not let the cover deceive you; this actually contains a lot of useful information in-game including how to build properly, the finer points of combat and character movement, along with tips and tricks to help new hopefuls to bring themselves up to par alongside pro players. Written by Jason Rich, this contains full-color descriptions offers players a grounded understanding of the game as well as offering tips on how to survive and win matches in a consistent manner. Covers every aspect of the game in encyclopedic fashion from A to Z. It’s well-written in such a way that new players will be able to get themselves acclimated to the game quickly. The strategies that are covered in this guide is focused on the Battle Royale aspect of the game. Looking through it, much of the material that’s covered in the game includes strategies and tips that are relevant to past and present iterations of the game. 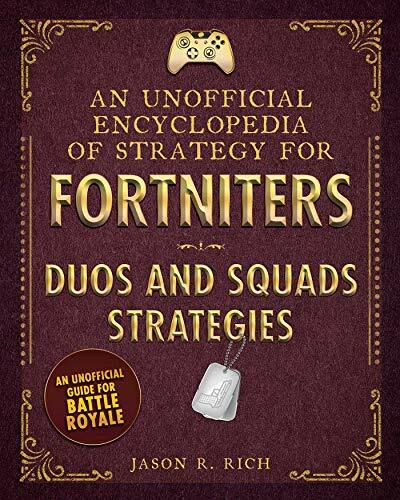 It’s a very comprehensive book and something that should be added into your Fortnite library. Another work penned by Jason Rich, this encyclopedia delves into the duo aspect of gameplay and gives examples of how to survive as groups. It explores the teamwork aspect of the game and expands upon it significantly. This reference places a greater emphasis on teamwork as well as reinforces some of the fundamentals that was introduced in his previous reference. If you’re a fan of Jason Rich’s work, you’ll want to get this companion as you’ll have the full knowledge of both encyclopedias available at your fingertips. This listing consists of items of different categories which you may find useful for you or your family. They include but are not limited to: phone grips, notebooks, calendars, and other items which can be used in the house, at school, or anywhere else you can possibly think of. These items are meant for anyone who is a fan of Fortnite. 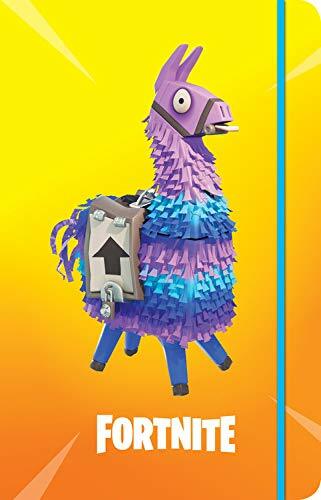 Solid cover cell phone case that featuring art of the Fortnite llama, loot llama on the back of the casing. This is meant only for use on Apple’s iPhones and are not compatible with any Android phone. Sorry Samsung, this is an Apple only case. The material of the cell phone case is made of ultra thin clear silicone for easy handling. Black canvas bag that has two zip-lock pouches with high storage capacity. Has the game title art emblazoned on the cover, and is able to act as a stationary to store large quantities of school supplies. This is something good to have if you have children that are partaking in art classes during the semester. Light orange journal featuring softcover art of the Fortnite Llama Lama. Fully endorsed by Epic games, it contains 192 pages for you to use for whatever you deem fit: notes, schoolwork, in game discoveries, etc. Also contains full-color endpapers of in-game avatars to give it a little bit of extra flair. This would be a nice gift to give to your child for them to use in school or at home, or you can buy one for yourself. Hardcover leather journal with a blue cover featuring white outlines of different Fortnite characters. This is another product endorsed by Epic games spanning 192 lined pages to write in. 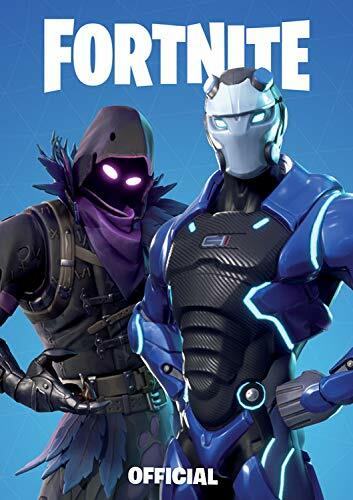 Pocket-sized notebook officially endorsed by Epic Games, featuring Carbide and Raven on the cover art. Good to use for school, work, or keeping track of your win-loss ratio in-game. Calender covering all 12 months for the 2019 year. Contains different character art for each month. 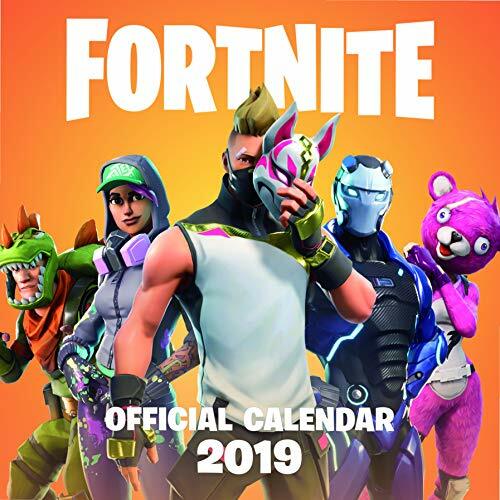 Nice to have to post on your wall if you’re looking to purchase a new calender, especially a Fortnite-themed one. A set of birthday invitation cards printed on glossy photo papers. If you’re hosting a large party for your kids, multiple sets of these would be ideal. 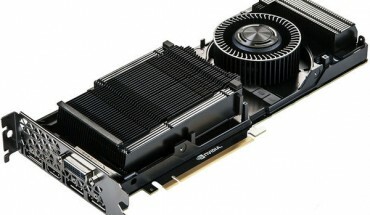 The cards themselves have a nice feel to them due to the gloss material. In order to write on them, you’ll have to use ink pens. Comes in 15 different styles featuring different art for Fortnite. This is very ideal to attaching on your phone to keep a solid grip on it. The styles that are available have different pictures of items and characters from the Fortnite in-game universe. Choosing the right one for yourself is more of a matter of preference as they all serve the same purpose: keeping a hold on your phone comfortably. They can also be used to wrap your headphones/ear buds around them to keep them from getting lost. This portable grip is designed to accommodate the latest generation of phones, including both Apple and Android-based mobile devices. It extends based on the size of the smartphone (4.5” to 6.4”) and interfaces with it via hardware capability. It operates like a hardware peripheral device, so anytime you use it you won’t run the risk of being kicked out due to being mis-read as an emulator device. Also comes with fire triggers in both grips where you can shoot with your character freely. What is the Fortnite Gifting System? The Fortnite gifting system is a means for players to purchase items from the item shop in-game and give it to a friend. This is applicable to all consoles and systems minus the iOS due to Apple’s policies prohibiting gifting. How Do You Gift Skins in Fortnite? Look for the Item Shop from the main lobby screen and pick a character skin. Once you’re done, select the option ‘Buy as a gift’ and hit the button designated on the screen. After the purchase is completed, you can select a buddy from your Epic friends list to gift the skin to.